William “Drone Slayer” Merideth Wants Case Dismissed. Seriously? Home/Drone Law, Drones, WTF/William “Drone Slayer” Merideth Wants Case Dismissed. Seriously? William Merideth, the self-proclaimed “Drone Slayer,” wants a judge to dismiss the lawsuit against him. This is after admitting to firing on a drone multiple times, destroying the drone. Why? Mr. Merideth claims the drone came within 10 feet of his home. Normally this would be cut and dry; you can’t fire upon any aircraft and a drone is recognized by the FAA as an aircraft. Yes, the FAA considers your DJI Phantom just as much of an aircraft as a Cessna or a 747. This affords you certain rights, protections and limitation. However, this case is a sticky one, because there is a bit of conflict between the federal position that all drones are aircraft and state law that protects privacy. William Merideth, the self-proclaimed “drone slayer” who shot down an unmanned aircraft as it hovered over his Kentucky home last June, has asked a District Court judge to dismiss a lawsuit filed by the owner of the drone, David Boggs. Attorneys for Mr. Merideth argue in a document filed in the Western District of Kentucky on Thursday that the court lacks subject matter jurisdiction with respect to a January 2016 complaint for declaratory judgment and damages brought by Mr. Boggs. Mr. Boggs was operating his $1,500 hobbyist drone in Bullitt County last June when Mr. Merideth said it came within 10 feet of his home and, according to him, constituted a trespass. Mr. Merideth admittedly fired at the drone three times with his shotgun, destroying the aircraft. This wouldn’t be the first time a court awarded damages after a drone was shot down. Back in November of 2014, we had an incident in Modesto, California. While we’ve heard of consumer drones getting in the way of commercial airliners and obstructing firefighting operations, we haven’t heard of many drones being shot out of the sky by a neighbor. But according to one drone pilot, that’s exactly what occurred in Modesto, California on November 28, 2014. That day, Eric Joe skipped Black Friday lines and instead went home to visit his parents. During the afternoon, Joe flew what he described to Ars as a homemade hexacopter drone. His aerial device hovered low and moved slow, logging just three and a half minutes of flight time in total. Then, bang. A loud boom rang out over the neighboring walnut trees. Growing up on a farm, Joe instantly recognized the sound as a 12-gauge shotgun. 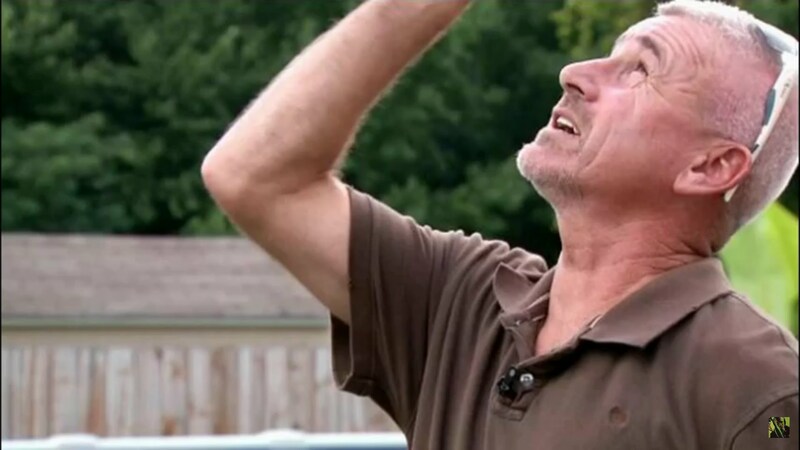 The unknown shooter hit his apparent target in a single attempt, and Joe soon watched his drone fall from the sky. By Sam Estrin|2016-03-16T17:19:23+00:00March 23rd, 2016|Drone Law, Drones, WTF|Comments Off on William “Drone Slayer” Merideth Wants Case Dismissed. Seriously?